I recently got to meet Lauren Runow at the San Francisco Golden Gate Author Event & I totally fangirled her! Jeannine: I’m from NYC and Lauren lives outside San Francisco. We’re book besties from opposite sides of the coast who love writing romance! Do you have a day job, if so what? Lauren: When I’m not writing I am publishing a community magazine and I also run a Non-Profit Children’s museum called Imagine That! Jeannine: I worked in the world of producing TV news until being a full-time mom called my name. I now have the most important job ever as I raise my three littles. Lauren: I enjoy CrossFit and can be found at the Little League baseball field or at the skate park with my two sons. I’m also a huge rock fan so any chance I get to go to a Papa Roach or Three Days Grace concert, I’m there! Jeannine: CrossFit? Rock? Not this gal! When I’m not writing you can find me having coffee with mom, chasing after my toddler or reading a book. On the off days I’m taking my kids to the museum, aquarium, zoo…pretty much anywhere the minivan will take us! Is it easy to co-author a book? How do you decide who writes what and how do you make it seem so seamless? Jeannine: We have a shared document on a Dropbox so either one of us can go in and start writing when we have time. Whatever one writes, the other reads and adds more, filling in the scene until it’s exactly the story we want to tell. Lauren: Imagine our book is the alphabet. One person goes in and writes A, D, E, K, S… The other person comes in and fills in all the other letters. The result is we each are writing on every single page of the book. Do you use an outline, a storyboard or something else to keep your stories on track? Jeannine: We are on the phone and texting A LOT! We have a loose storyline and as the story unfolds, we talk it out and make sure the story is going in the right direction. Do you use a Computer or handwrite your books? Have you met each other, in person? Jeannine: We’ve been friends since we first published in 2015 but met for the first time this May at the RT Convention in Reno. When Lauren picked me up from the Sacramento Airport we were on the phone as she pulled up. I hung up the phone and continued carrying on our conversation as she got out of the car and stood there with her arms open wide. I looked at her funny until she said, “Um, this is the first time we’re meeting. We need to hug!” We’ve been such great friends for so long it never felt like I hadn’t met her in the flesh! What’s next any more books planned to write together? Lauren: There are three Sexton Brothers and each get their own novel. Bryce releases this November and Tanner is slated for January! Do you read your reviews and if you get a bad review do you freak out or use it to your benefit? Lauren: We both read every single review and use every bit of praise and every critique when working on the next book. Do you drink and if you do what? Special drink, wine, beer? Coffee or tea? Any special coffee drink or tea drink or just straight? Jeannine: Tall, skim, caramel latte. Pajamas or street clothes while writing? Jeannine: I write at Starbucks so I’d get some side eye if I showed up in jammies. Lauren: Just depends on what time I’m writing. So it’s not on purpose either way. Do you have any funny things that have happened to you and please share if you can? Lauren: Readers are constantly confusing me with Lauren Rowe. Lauren and I have actually become good friends over us being tagged so many times for each other. Two hysterical stories were one reader who messaged Lauren Rowe talking all about my books and then realized she messaged the wrong Lauren. Another time I was messaging an author telling her how much I loved her book and she kept saying how honored she was I was messaging her and she’s never had other authors message her, but then she mentioned something about Lauren Rowe’s book and I had to tell her I was not her, but Lauren Runow. 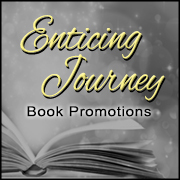 Jeannine: Contemporary Romance with some Dystopian Romance sprinkled in every few books. For fun what US states have you visited? Have you been outside the US? Lauren Runow is the author of multiple Adult Contemporary Romance novels, some more dirty than others. When Lauren isn’t writing, you’ll find her listening to music, at her local CrossFit, reading, or at the baseball field with her boys. Her only vice is coffee, and she swears it makes her a better mom!Lauren is a graduate from the Academy of Art in San Francisco and is the founder and co-owner of the community magazine she and her husband publish. She lives in Northern California with her husband and two sons.